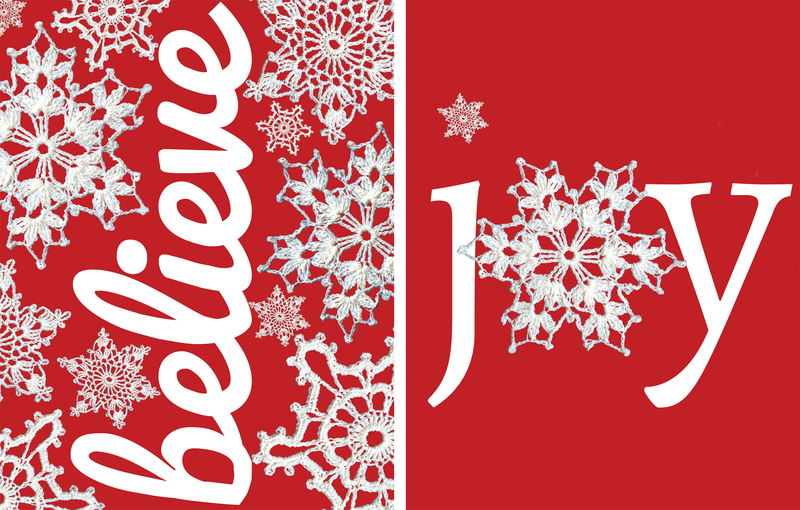 Licensing samples created in order to exhibit the company's snowflake patterns using festive words. The first design fills the text's whitespace with snowflakes while the second design is more minimalist, using the snowflakes as a circle and an "O." These two designs can be found on the Snowflake Collection licensing sample page along with other samples by other Maggie's Crochet designers.